Give your French Doors privacy, insulation and a well-finished look with our French Door Light Filtering Cellular Shades. Specifically designed to cover French Doors, these shades have a white wood frame around the shade’s perimeter, which hides the shade’s operating mechanisms, eliminates light gaps and allows them to tie into French Doors seamlessly. 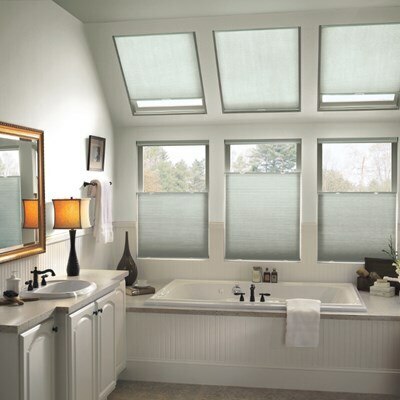 French Door Light Filtering Cellular Shades have a 3/8” cellular depth that is the perfect dimension for covering the shallow window depth on French Doors, and these come in an array of today’s most popular colors. The light filtering fabric gives them a luminous glow during the day. Open them from the bottom or from the top; you have two options for giving you the privacy and view that you want. These shades do not require hold-downs to keep them from banging against the door, unlike most French door window treatments. 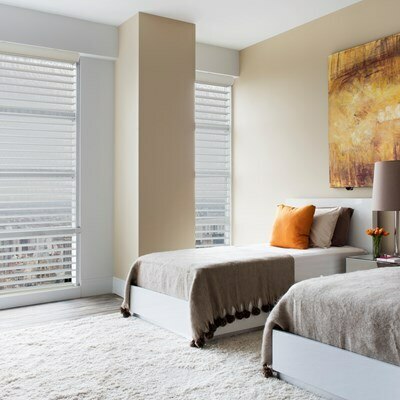 Cellular shades can help lower your energy bills year-round and are an excellent choice for climates with extreme heat or cold. Due to their cellular-fabric construction, these shades aren't well suited for high-moisture areas (e.g., bathrooms, kitchens). 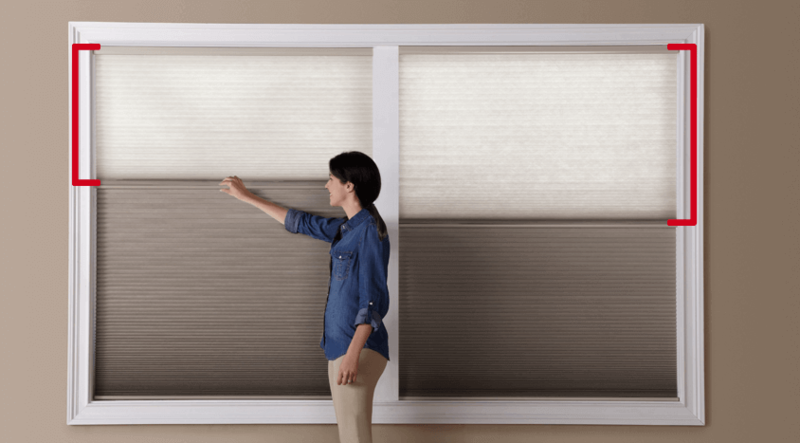 For more privacy and maximum light blockage, consider French Door Blackout Cellular Shades. 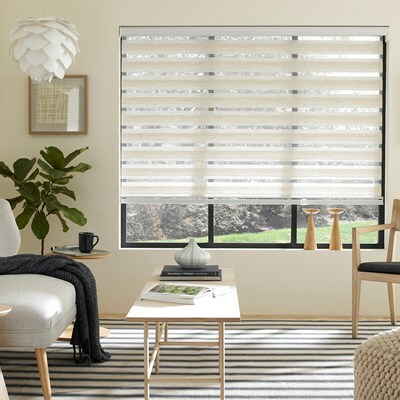 The Blinds.com Economy Light Filtering Horizontal Sheer Shade will dress your window with a vivid glow while providing complete privacy. These shades feature translucent fabric vanes suspended between two layers of sheer fabric.